London: Prime Minister Theresa May has reaffirmed Britain’s commitment to a 2015 Iran nuclear deal in a telephone conversation with US President Donald Trump ahead of a key US decision on whether Tehran has stuck to the terms of the pact. Trump has cast doubt on the future of the Joint Comprehensive Plan of Action (JCPOA), which sought to curb Iran’s nuclear programme in return for lifting most Western economic sanctions. A senior US administration official said last week that Trump — who has criticised the pact as an “embarrassment” and “the worst deal ever negotiated,” — was expected to decertify Iran’s compliance ahead of an October 15 deadline. 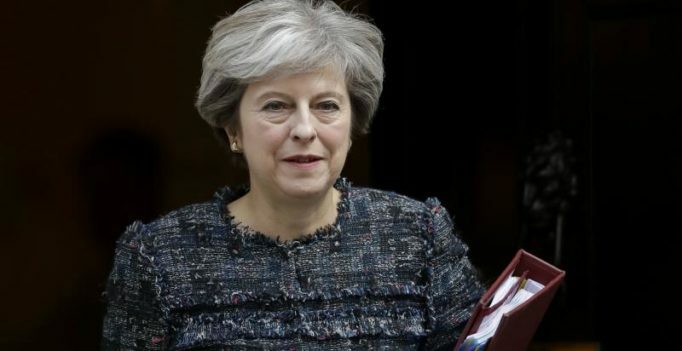 “The (prime minister) reaffirmed the UK’s strong commitment to the deal alongside our European partners, saying it was vitally important for regional security,” said a statement from May’s office following the call on Tuesday evening. In a separate statement, Britain’s Foreign Office said Iran had upheld its nuclear commitments, adding to international pressure on Trump not to jeopardise security in the region. “The nuclear deal was a crucial agreement that neutralised Iran’s nuclear threat,” foreign minister Boris Johnson said. Johnson spoke by telephone with US Secretary of State Rex Tillerson and Iranian Foreign Minister Javad Zarif on Tuesday and will on Wednesday meet the head of Iran’s nuclear agency in London to press for continued compliance with the deal. May and Trump also discussed the need for Britain, the United States and others to work together to counter destabilising Iranian activity in the region, May’s office said. Britain and the United States are two of eight signatories to the deal, along with Iran, China, France, Russia, Germany and the European Union. China, Russia and the European states have already expressed their continued support for the deal, while Iran has said Trump would not be able to undermine the pact. Earlier, the White House said Trump would make an announcement later this week on an “overall Iran strategy”, including whether to decertify the nuclear deal. May’s office said she agreed with Trump that their teams should remain in contact ahead of the decision on recertification.